A secure roof is something your home cannot do without, which is why you need to know exactly what your home needs. The decision between roof repair and replacement is largely a matter of time, damage control, and cost. The average cost of getting an entirely new roof installed in the US can be up to $8400, while simply repairing a roof costs a fraction of that, at around $2000. It’s therefore easy to see why a homeowner might be tempted to opt for the repair and hope that the problem goes away. However, if you need an entirely new roof and don’t address the problem sufficiently, you’ll end up paying a whole lot more in the long run. 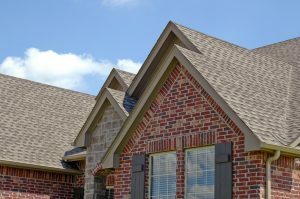 If you’re unsure whether you need a roof repair or replacement, you’ll need to know what to look out for. Here are five important factors to consider when deciding between roof repair vs replacement. Roof Repair vs Replacement: What’s the Damage? The most important consideration is the extent of the damage you’re dealing with. If the damage is recent and the result of some bad weather, chances are a repair will suffice, unless the damage is truly catastrophic. If it’s a case of a few missing shingles or an isolated crack, you don’t need to go for the full roof replacement. If the damage is more structural, however, you’ll need to start considering replacing a roof. If there are leaks in multiple places, extensive rot, or widespread degradation, it’s time to replace. The age of your roof is a key consideration for a home roof replacement. If your roof is only a couple of years old, chances are the damage will not warrant an entirely new roof. However, even if the damage looks minor, you should consider a replacement if the roof is over ten or fifteen years old. Modern roofs are meant to last a lifetime, but roofs constructed decades ago will not be as durable. Think of a new roof as a lifetime investment. If your roof damage is limited to say, a restricted corner of your house, then chances are a quick repair is all you need. On the other hand, if the damage can be found across multiple areas, or even if there are just a couple of damage points spread far apart, this could be indicative of overall roof degradation. What’s Your Roof Made Of? Before considering roof repair vs replacement, as yourself what your roof is actually made of. This also factors into the age question. For example, if you have a thirty-year-old slate roof without much damage, chances are there’s still plenty of life left in it. On the other hand, a metal roof of the same age should definitely have been replaced by now. Do You Qualify for Government Help? It might actually be more worth it to opt for a full roof replacement depending on if you qualify for help from Uncle Sam. Choosing a new roof that is environmentally friendly or especially fire resistant can qualify you for federal tax credits of up to 30%, so make sure to explore your options. To learn more about roof repair vs replacement, or to get the repairs you need for your home, don’t hesitate to get in touch with us today.